Temple Micah Advocacy Blog: The Day Of The Invisible Gay Soldier Is Over! 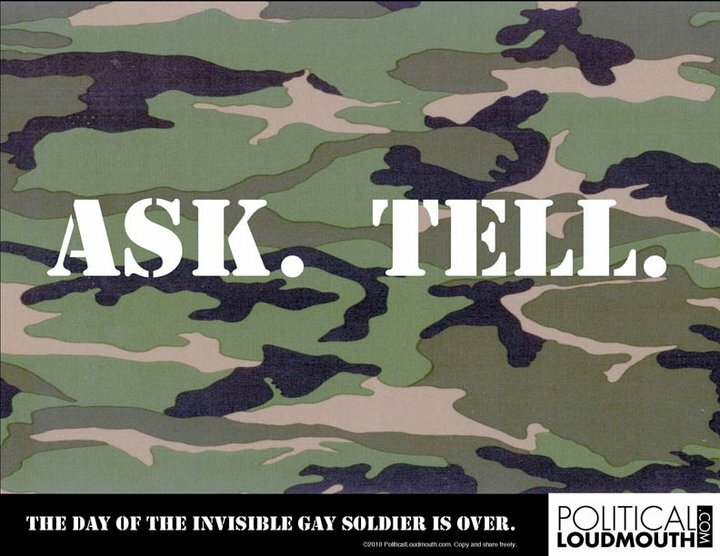 The Day Of The Invisible Gay Soldier Is Over! Today marks the end of "Don't Ask, Don't Tell". Over 14,500 military personnel have been discharged because of Don't Ask, Don't Tell, which was implemented during President Clinton's administration. Perhaps now we will learn how many LGBT members of the armed forces fought for our country with honor while secretly hiding who they really were. Thank you to all who served in secrecy and all who made this repeal possible! The Anti-Defamation League (ADL) fights anti-Semitism and all forms of bigotry, defends democratic ideals and protects civil rights for all. All Rights Reserved. Temple Micah. 2011. Awesome Inc. theme. Powered by Blogger.